Acid dyspepsia or hyperacidity is presence of excess acid in the stomach, it needs to be cured effectively and permanently because if it stays for longer period can cause serious damage to the health. According to medical experts acid and alkali are present in the human body and are part of the body, however healthy body is an alkaline body, which means that alkali shall be present in the larger part than the acid. The most serious unhealthy conditions are acidic conditions. All the foods which a human being eats either leaves an acidic ash or alkaline ash which forms the nature of the body. 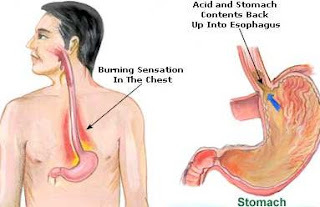 Acid is important for digesting the food effectively, sometimes due to different reasons gastric glands situated in the stomach secrete more than required acid which creates condition of hyperacidity in the body. There are many factors which work as triggers for gastric glands to secrete more than required acid in the stomach. Lifestyle related issues, eating habits, foods, sleeping pattern and environment, all play an important role in affecting the secretion of acid in the stomach. Certain types of food are known to promote excess acid secretion and some drinks like tea, coffee, habit of smoking and alcohol also promote excessive acid secretion. To get an effective and permanent treatment of the problem one must consider all the possibilities which can initiate the problem to identify the root cause. There are many remedies which can provide immediate relief from the problem but without treating the root cause of the problem the treatment will not be permanent in nature. Some commonly associated problems which may initiate hyperacidity are constipation, flatulence, indigestion, malfunctioning of liver and stress. Hyperacidity in a person having any of these problems subsides with the treatment of the problem itself. Consuming buttermilk after meals is an excellent remedy for hyperacidity and if taken regularly can provide effective and permanent treatment. Eating jaggery or a piece of clove after meal also helps in treating the problem. Lemon may be acidic in nature but contains digestive enzymes and good acid, consuming sweet lemon juice before meals helps in digesting the food and nullifying the acid in the stomach. Increased intake of fruits like banana, melon, pineapple, apple and guava are very useful in treating the problem of hyperacidity. Consumption of water shall be paid importance not only to avoid the excess secretion of acid but also for good overall health, an adult shall consume 8-10 glasses of water everyday. Avoiding spicy food and fried food is a good practice to prevent hyperacidity. Ginger is an excellent remedy for all sorts of stomach related issues; it has medicinal properties as well as acts as a good digestive aid. Preparing traditional tea mixed with ginger can also work as a good remedy for hyperacidity. Consuming ginger juice with honey after meals is a sure remedy for curing excess acid secretion and good digestion. Apart from remedies healthy habits are equally important for treating the problem effectively and permanently. Do not lie down immediately after the meals, take a mild walk after meals, most of the time people eat contradictory foods like milk after meat or lemon in the diet and milk later, such habits surely promote excessive acid during digestion to cause hyperacidity.